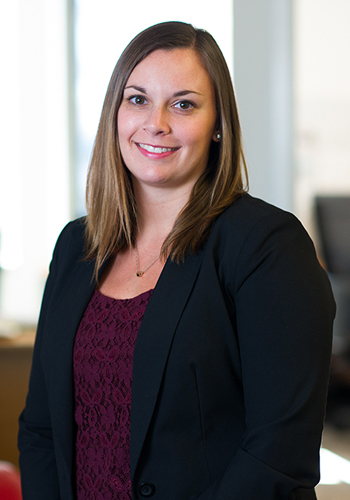 Brittany provides a broad range of financial services to JDJ clients, including investment administration, detailed net worth reporting and analysis of expenses, payroll processing, investment account reconciliation, and budgeting and cash flow planning. A valued member of the JDJ team, Brittany’s dedication and attention to detail enables her to provide a high level of service to her clients and their advisors. Prior to joining JDJ, Brittany held the position of client services representative at Tonneson & Company, providing accounting and financial services to small businesses and two generations of an ultra-high net worth family. Her responsibilities included bill paying, financial reporting, account reconciliations, document management, and payroll administration and expense reimbursement. In addition, Brittany served as the main point of contact for the family’s brokerage firms and wealth advisors, helping to facilitate investment-related transactions for the family, their foundation, and trusts. Brittany developed her customer service, organizational and bookkeeping skills as an office administrator for Rosado & Sons and Healthy Home, Inc.
Brittany received a Bachelor’s of Science in Business Administration from the University of Vermont and is pursuing the Certified Financial Planner® designation.